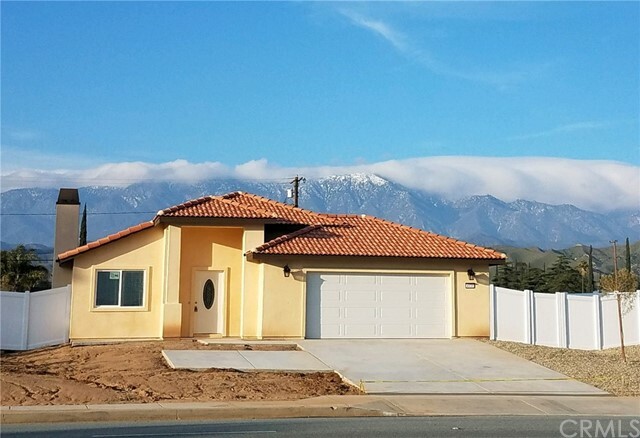 All Cabazon homes currently listed for sale in Cabazon as of 04/21/2019 are shown below. You can change the search criteria at any time by pressing the 'Change Search' button below. "This secluded Snow Creek Village cabin, nestled against the San Jacinto National Monument, the Pacific Crest Trail, and the historic Pony Express Trail will certainly inspire you as it has countless writers, artists, musicians, and adventurers throughout the years. 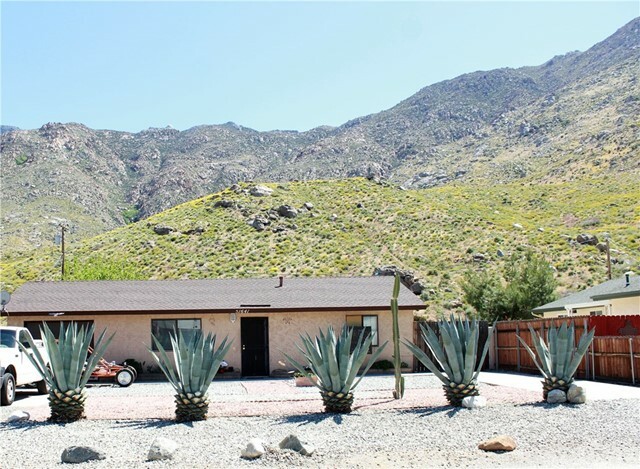 Hermit Springs, as the cabin is known, features solid mesquite wood flooring, a chef's kitchen, an outdoor shower, two stone fireplaces, and some of the most dramatic landscape in the valley. There are only 39 homes in Snow Creek, and"
"For those who enjoy peace & quiet at home, but love excitement & night life. This desert home is your dream come true. 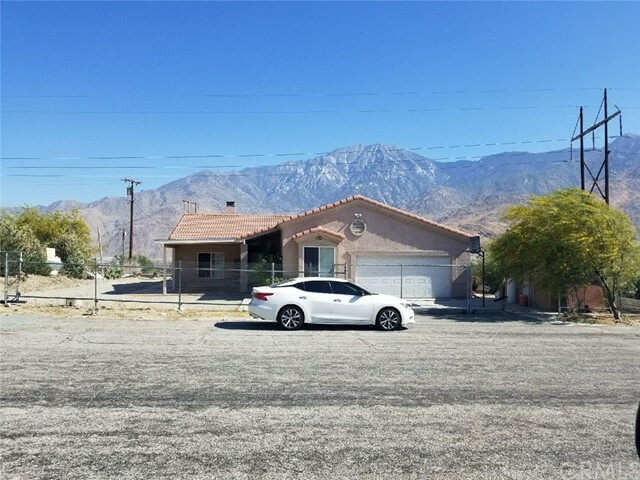 Minutes to Palm Springs, Morongo Casino, golf, or outlet stores. 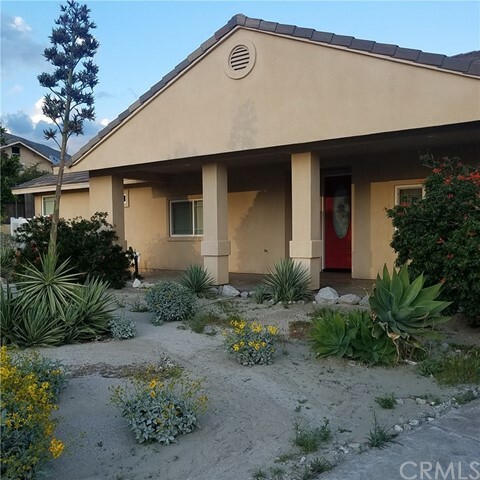 Your own private Cul De Sac surrounded by hills, views, canyons & mts. 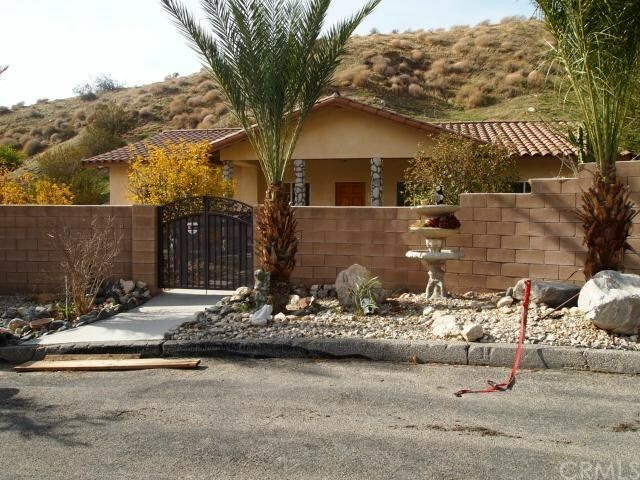 The house is enclosed w/block wall & ornate security gates & surveillance sys. Enter thru the porch or drive into over sized 3 car det gar w/own 3/4 bath & flat roof top patio. Bkyd provides tranquil patio & Japanese Garden, hill is cov'd/many d"
"BRAND NEW HOME!!! 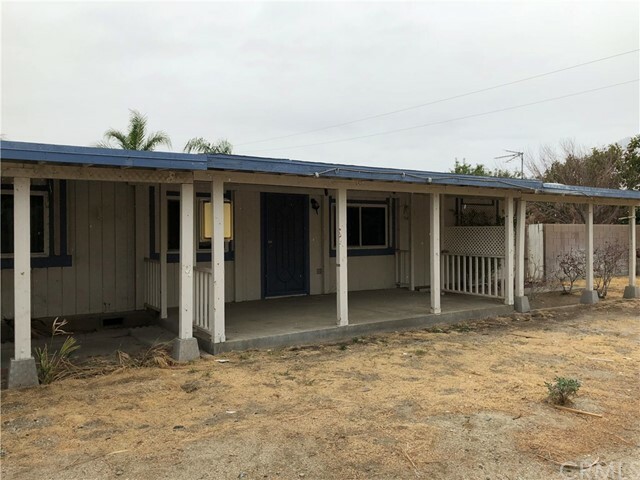 4 bed, 2 bath home, features open concept kitchen with island, quartz counter tops, soft closing cabinets and drawers, fireplace, indoor laundry, tile throughout except bedrooms. Energy efficient home with tankless water heater & LED lighting. 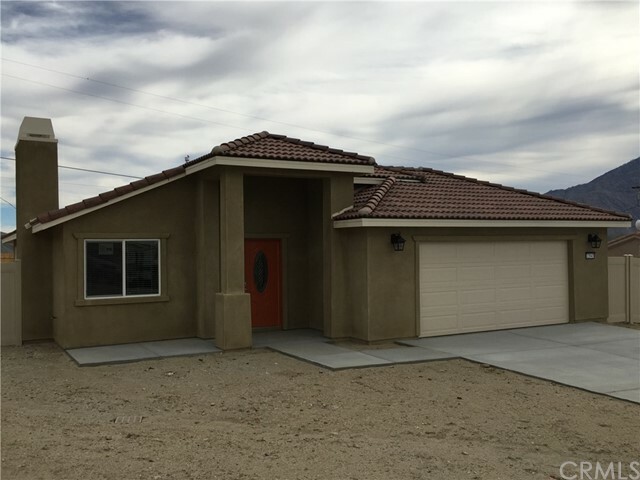 Home is still under construction with an estimated completion by 05/15/2019. 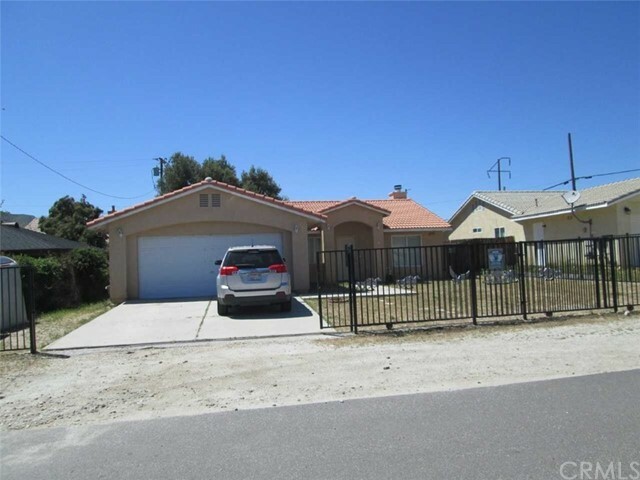 SELLER FINANCING AVAILABLE with 25% down 7.5% fully Amortized 40 years!!!! 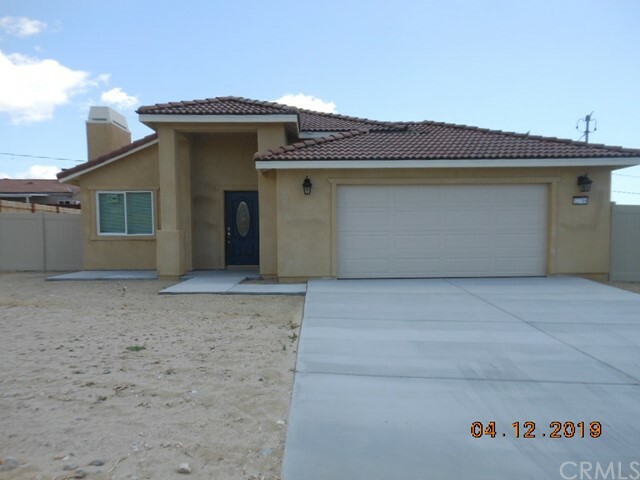 Geat opportunity to own for those that do not qualify for traditional financing. 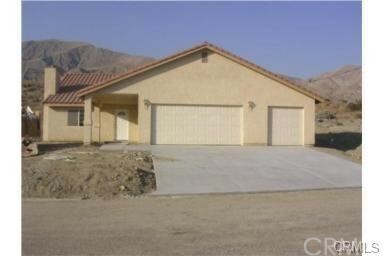 More "
"Beautiful mountain views and fresh air surrounds you in this elegant BRAND NEW 4 bedroom and 2 bath home. Latest architectural styling and features give this home great curb appeal and functionality. Add to that many lavish appointments that include generous storage space/extensive cabinetry, quartz counter tops, fireplace, interior laundry space, fire sprinklers, tiled floors, LED lighting and tankless water heater. There is still time to select carpet colors for the bedrooms. 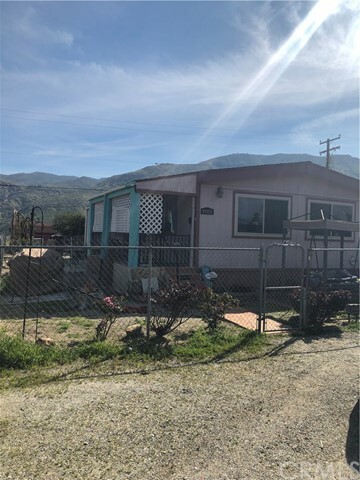 This fully fenced"
"Beautiful mountain views and fresh air surrounds you in this elegant BRA ND NEW 4 bedroom and 2 bath home. Latest architectural styling and features give this home great curb appeal and functionality, and add to that lavish appointments such as generous storage space with extensive cabinetry, latest style of granite/quartz counter tops, fireplace, interior laundry space, tiled floors throughout the house except the bedrooms. 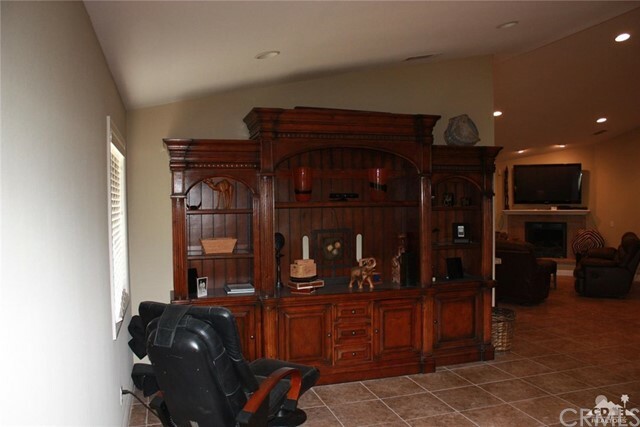 For your safety and comfort, the house has the fire sprinkler system an"